A fundamental part of making economic decisions is finding out the true value of a product. However, this involves analyzing additional indicators that are not used in determining the product’s market price. Currently, the value of a PV system is usually based on its levelized cost of electricity (LCOE) that takes account of installation process, generation efficiency and operational stability. Furthermore, the price-performance ratio of a PV product is directly related to LCOE. The increasing market focus on LCOE has not only led to rising demand for high-efficiency products, but this trend along with the scale expansion of the industry has also contributed to the lowering of prices. Time will also tell the true value of a product. The increasing popularity of solar energy has resulted in significant growth in the number PV systems installed worldwide. Many existing systems have already passed their usual five-year warranty period provided by their EPC companies. At the same time, designs of solar systems have evolved and diversified greatly across different regional markets. This means that LCOE of a PV system has to take account of additional operational expenses incurred during the entire lifetime of the system. On the whole, well-managed and profitable PV plants are ones that runs at their highest levels of power output. This kind of performances are necessary in order for the public to evaluate the value of PV-generated electricity from a wider and long-term perspective. 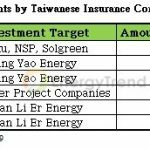 Taiwan’s BIG SUN has invested heavily in the development of its dual-axis solar tracker for many years. The company has also successfully established megawatt-scale projects in its domestic market and in other regions including China, Japan and Europe. With a solid track record, BIG SUN has convinced the market of the advantages of its core product iPV Tracker and gained opportunities to work with clients worldwide. BIG SUN offers iPV Tracker together with its iPVita platform to ensure that the solar tracker can achieve 99.9% operational availability and allow for remote maintenance and control. Unique in its design, the iPV Tracker uses pulleys with steel-wire ropes to create a dual-axis setup that aligns the solar panels at a perfect angle to catch sun’s rays anywhere in the world. 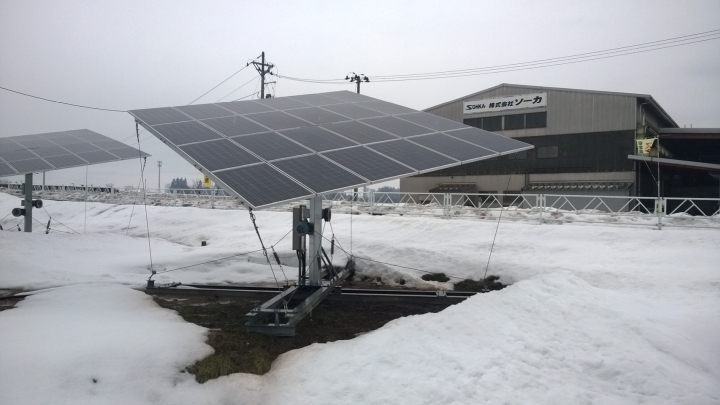 Versus fixed-tilt PV systems, iPV Tracker can generate as much as 30~40% more electricity on average per year. On the whole, the initial installation cost of iPV Tracker is infinitesimal compared with revenue that the system produces in the long run. According to some client feedback, the ability to remotely control the rotation and tilt of the panel especially comes in handy when mowing grass near or under the solar trackers. The surface of the PV modules can be inclined at a straight angle so that they directly face the sky and avoid being damaged by the flying debris coming from lawn mowing machines. On the whole, the iPV Tracker is designed to minimize costs and loss of power generation related to degradation or accidents. Like other high-efficiency PV products, the iPV Tracker can bring about more efficient land utilization. Besides deployments on rooftops and carports, iPV Trackers have been integrated into farming and aquaculture facilities. Numerous projects have shown that the iPV Tracker can significantly raise unit land value under various business or industry settings. In 2016, Luo began to promote the idea of increasing the “grid utilization rate.” According to this concept, increasing the volume of electricity going through the transmission lines also lowers the unit cost of laying down these transmission lines. Because the iPV Tracker generates electricity through the whole daytime period, it is able to supply electricity that matches the standard daytime load curve. In turn, the operational pressure on transformers is reduced and the maintenance cost for the power grid is kept down. To integrate the Luo’s idea of improving grid utilization with projects involving large-scale deployment of iPV Trackers, BIG SUN is also working on thermal energy storage systems. Luo had mentioned about his company’s plant to develop energy storage system as early as the start of 2016. A year later, BIG SUN revealed that there has been significant progress made in this area, and patents related to thermal energy storage systems have been submitted in several countries. Maintaining a battery’s health usually means charging it with a steady flow of electricity over a period. In this context, the iPV Tracker has another advantage over the fixed-tilt PV systems. As the iPV Tracker is more stable in power generation compared with its competitions during the daytime hours, it can also provide a constant amount of charge to an energy storage system in an hourly period. Hence, the iPV Tracker can prolong the energy storage system it is hooked up with, and this advantage can also bring about a further reduction in LCOE for PV generation. 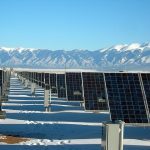 Luo recognized that more studies are needed to determine the costs and benefits of integrating solar trackers with energy storage systems. “And our company will be leading the experiment,” he added. Luo’s ideal blueprint on future energy solutions envisions large-scale PV plants consisting of solar trackers and energy storage systems. These PV plants will be able to provide electricity all day and help phase out thermal power plants that burn fossil fuels. “PV systems will realize their true values when such a generational replacement in the energy market takes place,” said Luo. BIG SUN develops iPVita in parallel with iPV Tracker. Currently, iPVita manages around 1,000 PV projects worldwide, and the big data analytic system that derived from the information collected by the remote monitoring and control platform is almost in place. At the same time, patents of the company’s thermal energy storage systems are now in the submission and review stage. The development of these extended products and services strengthen iPV Tracker’s position as BIG SUN’s core product. Furthermore, developing these technologies has given the company a clear and consistent strategic direction. As the iPV Tracker is developed to be deployed in large-scale PV plants, this year BIG SUN will launch a new model that is 4.5 meters tall and 8 meters wide with the solar panel. The dual-axis structure is reinforced with larger pulley wheels and thicker steel-wire ropes so it can support a panel consisting of 40 pieces of PV modules. This scale-up version of iPV Tracker has a generation capacity of 12 kilowatts and its target markets will be China, the Middle East and regions of continental climates. Additionally, the increase in the size of the solar tracker will lead to a corresponding drop in LCOE for the system. BIG SUN also closely follows trends in module designs and has taken special interest in the recent rise of bifacial modules. Currently, the company is looking at various bifacial module designs as well as exploring the possibility of an iPV Tracker that can generate electricity from both sides of the solar panels. Benefits of bifacial modules include thinner frames around their edges. Therefore, they are much better in terms of light absorption compared with traditional modules and are suitable for projects located in snowy environments and for floating projects. The successes of iPV Tracker and new products that extended from its course of development have solidify BIG SUN’s position as a major provider of a complete system solutions in the PV market. Looking ahead, Luo wants to introduce wireless control technology into its future projects to cut down installation and maintenance costs related to electrical wiring. Ultimately, BIG SUN pioneer these new changes to make PV generation more efficient and reliable. This is the goal behind the development of the iPV Tracker, which is a realization of these important ideals and values.